Many of you have probably heard the big news regarding Nickelodeon’s The Legend of Korra. If you haven’t, here’s the deal. This Friday’s episode of Korra will air as scheduled and the remaining episodes pulled off air until further notice. These episodes will be distributed digitally, meaning air time is suspended until Nickelodeon decides what the hell it’s doing. What’s the deal? So far we’re not sure, but there are plenty of rumors swirling around. From low ratings to Nickelodeon just wanting to out the popular series, we are not yet informed of what caused this somewhat unexpected development. Head over to the Korra or Nickelodeon’s Facebook page and just check out the angry posts coming from enraged Korra fans. The web is buzzing, Nick. You’re in big trouble. Now go stand in the corner and think about what you’ve done. Various social media sites are abuzz with the news that Korra will now go digital and question the fate of season 4 of the series. Nick originally ordered four series, but with Korra now off the air, will we see a season four? 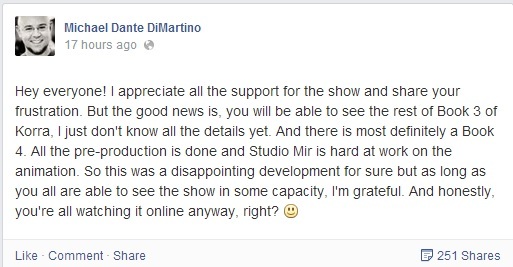 According to co-creator and executive producer Michael Dante DiMartino, we still have season 4! Even if Korra were to find its way back to television, I want to express my great disappointment in Nickelodeon and their blatant disregard for their fans, the series, and the cast/crew of Korra. Their handling of book three has been piss poor and rushed. I’m sure many fans can agree that they expected news about book three at this years SDCC, but instead the series was pushed to a June release. I’m not normally one to complain in regards to a series I adore being released early, but I knew with such a rushed premier date, we were all in for trouble. The trouble started when episodes were “accidentally” released on Mundo Nick in June. With the accidental release, fan-made trailers were soon all over the internet. The episodes found their way online thanks to some very eager fans and pictures flooded social media. The official trailer for Korra was released not long after and a premier date of June 27th. Not just a one episode premier! Not two! We had three all-new episodes! And that was just the beginning. Nickelodeon has shifted Korra’s scheduling dates in a fashion that to any that are observant, know the show is drifting towards deadly waters. Each week I wondered to myself if we would be seeing a new episode of Korra or if Nickelodeon would make us wait another week. Online episodes were not yet available till much later. I wondered if this was a tactic to see how the show would do ratings wise, when only available as a telecast, but considering the shuffle Korra has experienced, this would have been a terrible experiment. Almost as if making up for this constant shift in scheduling, we received two episodes a week, though I suspect there are other reasons for this. This only shortens the amount of time Korra has on air and push us closer to the conclusion of book three. Besides the shifting schedule, there also seemed to be a lack of advertisement for Korra in general. The decline in ratings would seem more worrisome if those earlier points were not highlighted. A series like Korra cannot be tossed around from date to date without seeing a gradual loss in viewership. A Friday night time slot just seems rather odd for an animated series that is surrounded by live action comedy programming. An earlier slot or perhaps a Saturday slot would seem a better choice, but alas, we’ve been stuck with a wonky Friday night time slot. A move to all digital seems like a rather bad move, in a world where not everyone has unlimited bandwidth and a means to watch streaming media on their television. Just because some favor streaming, that doesn’t mean all do. Families without a way of streaming content to their televisions will have to squeeze around the computer screen to get the latest dose of Korra. Or take to the small screen of mobile devices to get a Korra fix. Let me just express one thing. I have always loved Nickelodeon. I am a child of the 80s/90s. When my family first got cable in the early 90s, my brother and I were excited over the prospect of getting a network that all of our friends and classmates just gushed over. Slime? Are you afraid of the Dark? Rugrats? We couldn’t wait to see this amazing and goofy family channel. I recall going to the store and getting Nickelodeon Magazine, just to see all the fun news and pictures about current and upcoming shows. Slime recipes and slime-themed food and drinks galore! Nick was so much fun when I was a kid! Our television was almost exclusively on Nick during my childhood years. Besides the few series I mentioned previously, we enjoyed other series such as CatDog, Invader Zim, Angry Beavers, Doug, Hey Arnold!, Aaahh!!! Real Monsters, Legends of the Hidden Temple, Figure it Out, Clarissa Explains it All, The Adventures of Pete & Pete, The Ren and Stimpy Show, The Wild Thornberrys, Salute Your Shorts, The Amanda Show, All That, Kenan and Kel, and sooooo much more. Slowly the variety of decent shows began to shrink and it took Avatar: The Last Airbender to draw us back. I’m not one of those fans that touts “Airbender was better!” or “Korra is the best of the Avatar series!” because I don’t feel that way towards either series. 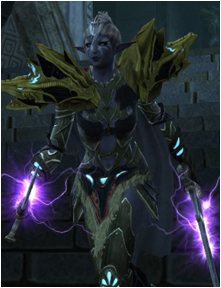 They are of the same world, in different time settings, with a few familiar faces and new characters. You are seeing the history of Avatar play out and whether you enjoy what you’re seeing or not, that is how their world is. I view other fiction in that way–sometimes there are events that you dislike, but it’s a part of their history. This is their creator’s world and they decide the outcomes, whether we like it or not. I am sure there has been a loss in viewership due to fans drifting from the show, whether it’s because of the pace of the story-lines, the direction the series is going, or they have just lost interest in general. However, I do not believe this has been the major determining factor in such a loss of viewers. I’m sure Nick might play it off as such. Nickelodeon, if you would advertise your series with the same care you give your other lackluster shows and gave it a steady time slot, you might see an increase in ratings. Korra is a powerhouse of a series if you give it the chance you did during season one. You’ve taken something truly enjoyable and mistreated it in such a fashion that it has infuriated its fans. Despite the years of dedication I’ve had to your network, I feel I’ll soon be parting ways with you. When I see the sort of lineup your network has and how you’ve so carelessly treated Korra, I feel it may be best for me to just cut you off completely. If Korra is left alone and given a better chance, I’d come back, but only for Korra. Why watch a network when one of its best shows is treated as if it doesn’t deserve to be there? In fact, it doesn’t deserve to be there. It deserves a lot better than you, Nickelodeon. I’ll be listening to the coming news at SDCC and hoping for a good outcome for Korra. Even if the outcome is favorable and Nickelodeon finds a way to redeem itself, I’ll only support one series and one series only. Perhaps you should bend your ears towards your fans, Nickelodeon. I can only imagine what the coming conversations will be like at your booth at SDCC. You know, where you fans approach you in person and will be able to air their grievances. Terrible timing on your part? I don’t see many pleasant conversations coming. Don’t worry Korra fans. We still have Korra, even if our means of viewing is limited. We still have Korra and season four is in the works. Let us hope for excellent news and an update on the upcoming Korra game, which looks to be really amazing! 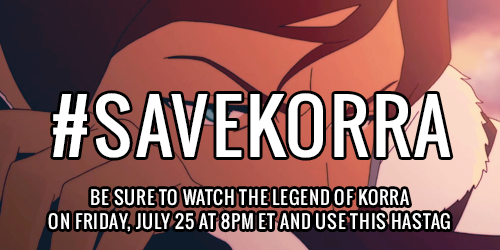 Be sure to watch Korra this Friday night at 8pm ET! Tell your family, friends, goldfish, imaginary friends, and the monster hiding in your closet! Nearly a year later, featuring Transistor! Come stalk me on Twitter!